August = school and family holidays. Therefore, it is no surprise that this was a somehow unproductive month. For me, August included the following highlights. As I am working on a paper on using social media for customer insight, I spent some time catching up with literature on this topic. I have also been reading about the technical aspects of analysing social media data, including analysing visual data, and working on a bid for a small research grant. I submitted a “chapter” to the Book of Blogs, a book about using social media for social sciences’ research, edited by the NSMNSS. The book covers topics as diverse as the technical aspects of using various social media platforms, application to specific social sciences’ fields, or ethical concerns; and is original in that its content consists of crowd sourced blog posts. The book will hit the ‘virtual’ shelves this Autumn. Not much teaching this month, only a session on Digital Marketing. But lots of marking, and supervision of dissertations. As I was planning to submit a paper to a special issue of a journal that I am not very familiar with, I spent some time learning about the writing style and key themes in that journal. Eventually, I did not manage to finish the paper on time (a deadline of August 31st… Seriously!? ), but I did learn a lot about this journal and the community that writes for it. It’s a great resource and I have now added this title to the list of journals I check regularly. 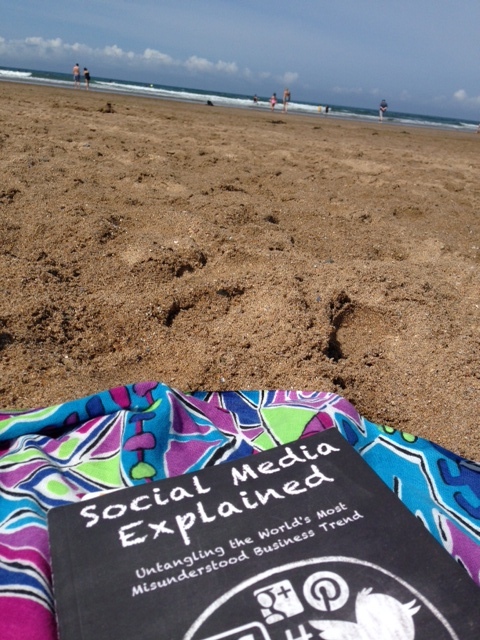 Still on learning, I finished reading the excellent book ‘Social Media Explained’ by Mark Schaefer. I learned a lot and shall be reviewing the book here on the blog, very shortly. What were August’s highlights for you? Posted on September 1, 2014 September 1, 2014 by anacanhotoPosted in PersonalTagged Book, Book of Blogs, Digital marketing, Holidays, NSMNSS, Social Media Explained.